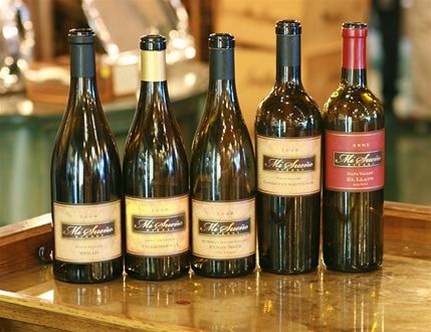 "Hidden Gems of Napa Valley: Tasting of Mi Sueno and Longfellow Wines"
Longfellow is very fortunate and proud to have Rolando Herrera as its winemaker. Rolando is the foundation of the Longfellow winemaking philosophy. He shares our singular goal of only producing exceptional wines of unique character. Rolando started his winemaking career at Stag’s Leap Wine Cellars as their cellar master. After graduating from the University of Stag’s Leap (as he puts it) where he learned the basics of the wine industry and winemaking, he moved on to become the associate winemaker at Chateau Potelle. From there, Rolando refined his personal winemaking style as the winemaker at Vine Cliff Winery and more recently as the Director of Winemaking for Paul Hobbs Consulting helping manage several limited production, ultra premium wine projects. For the last four years, Rolando has directed his energy at establishing and growing his own label, Mi Sueno, as well as several small production wineries who share his vision of producing quality wines made with great passion and love.